Trying to squeeze a run into today’s modern and often busy schedule can be difficult, especially if you are limiting yourself to only daylight hours due to safety concerns. At times I’ve started a run before the sun came up and finished only as it began to rise or started my run after after the kids are tucked in and feel the need for a little “me time”. Both instances require me to be aware of my surroundings and use certain safety precautions to ensure that I come home safe and sound. Know your route. Running when others are likely still in bed is not the time to be adventurous and try out a new route. 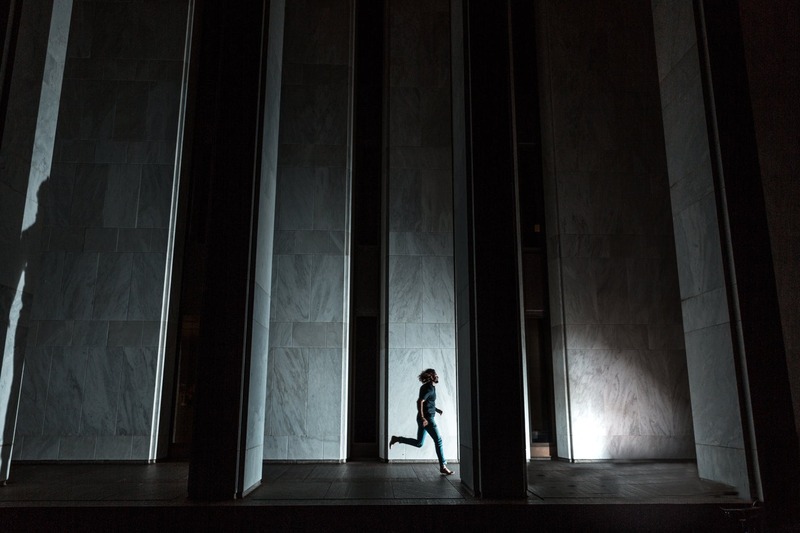 Use a well established running route that is both well-lit and well-traveled. Stay to the outside of parks and other locations that can obscure the view of passersby and that could provide cover for those up to no good. When planning a route, try driving it at night or early morning and take note of street lights or the lack of lighting and anything that can obstruct the available lighting. Let someone know where you are. While most people won’t appreciate you waking them up in the wee hours of the morning to notify them you are going out for a run, there are other ways you can notify loved ones where you are and where your are going. Using the RoadID app (available on iPhone and Android), you can send a customized message to any cellphone you decide (i.e. “going for a quick 4 mile run, should take 45 minutes”) and then the app sends location updates if you should stop moving longer than 10 seconds. 10 seconds of no forward progression will sound a warning alert to you to either click that you are fine within the app or if you do nothing, everyone you’ve determined will receive a message that you have not moved and your last known location. Also, if you go over your predetermined finish time, a warning will sound that you can disable. If you do not let the app know you are okay, your contact/s will be notified and your last known location will be sent as well. Protect yourself. There are many items on the market that are discrete, easy to carry ways to protect yourself. One of my absolute favorites is a Stun Ring. This small device is a ring that goes around your finger, with a high voltage stunner at the top and the trigger fits nicely in the palm of your hand. In case you are picturing yourself inadvertently stunning yourself and laying seizing on the ground, there is a safety switch that you have to enable before you can even activate the trigger. I keep it switched off most times but when I encounter an uncomfortable situation, an large off-leash dog or even an environment that suddenly makes me on-guard I switch that safety off so that I can act without hesitation. Please note: I consider this a last resort defense tool. It can be used against animals, however many report that the sound of the device without contact is disturbing to most animals and they will likely retreat without harm. See and be seen. Being visible to others that may be also on foot, on bike or car is so very important. I nearly hit a pedestrian at 10 o’clock at night who was dressed in all black, socks and shoes included. This individual thought it was a great idea to illegally cross the road when I had the right-of-way. What saved him was the small reflected decal on his shoes! I saw these moving decals and at the last moment realized they were attached to a person. Reflective gear is a staple in my wardrobe. Nike makes a highly visible reflective running vest, Aeroloft Flash which has all reflective detailing and there are other reflective wear in the Nike Aeroloft Flash line. Movement also catches driver’s attention, so I use a lithium battery-operated, LED flashing slap-style bracelets on my upper arm and ankle. Seeing is just as important and being seen. I love this awesome headlamp that actually does both. The front of the lamp is adjustable in light positioning as well as brightness. The strap is adjustable to fit many head shapes and sizes or fit over hijabs and hats. As an added safety feature, there is a highly visible red light on the back of the head strap. The best thing about this headlamp is that it is rechargeable so no worries about purchasing batteries. Keep some form of identification with you. Thankfully, the Nashata brand sportswear that I use has lots of thoughtfully designed, small pockets that can hold identification cards or emergency contact information. However, consider if you are involved in an accident or faint due to exhaustion; you don’t want someone searching all through your small pockets to find an identification card, which in most cases won’t have contact or medical information. Identification bracelets such as RoadID contain identifying information, emergency contact information and important medical information. I don’t use the bracelet (yet) but I do use their phone app which has a wonderful feature. The app displays this very important information on your cellphone lock screen. You can display the contact information for up to three contacts and put certain information such as allergies or medical conditions or instructions. Most emergency personnel look for a phone or wallet when they find a person incapacitated . Providing contact information and medical conditions could actually save your life. The best way to stay safe is to do as many as these safety tips as possible. Layer your reflective wear, stay alert, travel on visible paths and let your loved ones know where your going and when you are expected back. As wiith every run, the goal is to come home safe and if you feel something is not quite right, err on the side of caution and follow your safety protocols. No run is worth risking your safety. This entry was posted in Running, Running and tagged Jeri Villarreal - Triathlete, roadid app, running safe, safety tips, tips to run safe by Jeri Villareal. Bookmark the permalink.